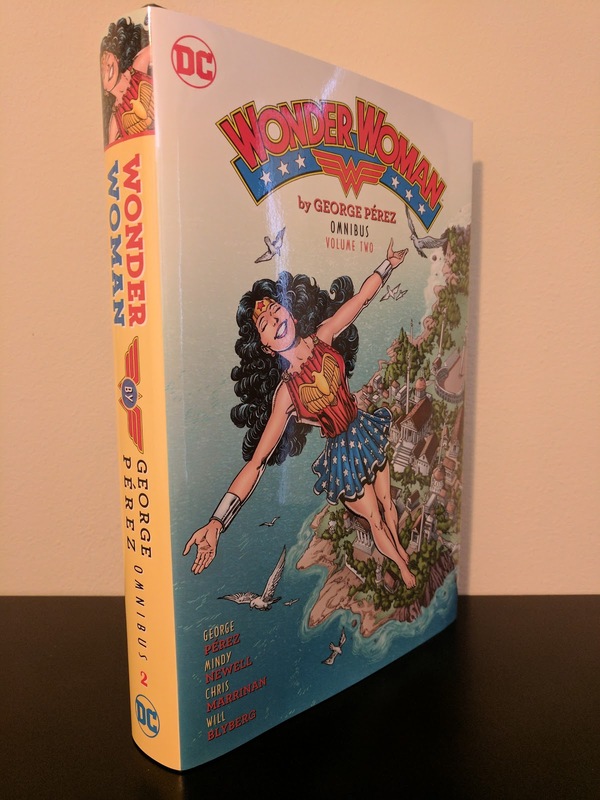 DC picked the perfect time to release the second omnibus volume of George Pérez's classic Wonder Woman run: just a couple weeks before this weekend's release of the live-action Wonder Woman film. 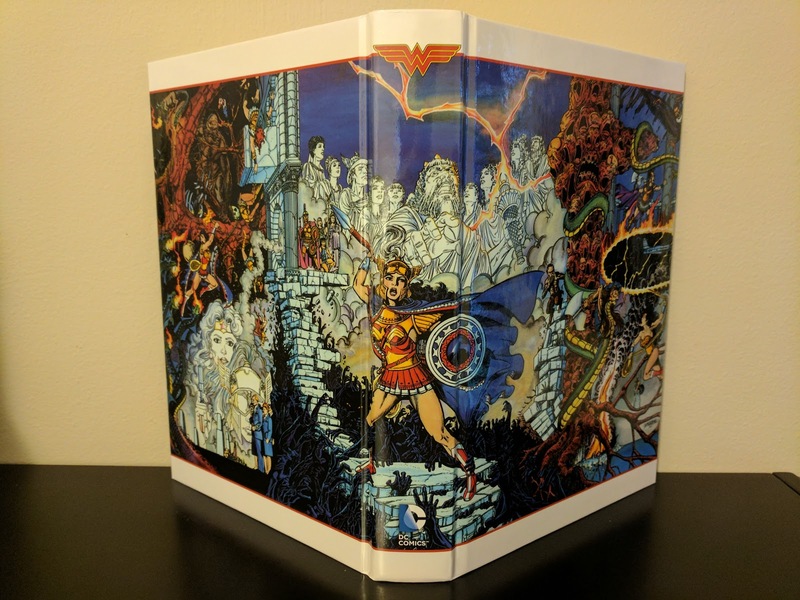 Having recently burned through the first volume, I was eager to continue reading Pérez's tales of Princess Diana of Themyscira's adventures. Admittedly I had a small concern of the potential for a let down compared to the first volume as I enjoyed it so much. It only took a handful of issues for me to realize that I had had nothing to worry about. This volume picks up with issue twenty five, the point in the series where Pérez transitioned from writing and penciling to 'just' writing. To be honest, this is what caused my trepidation in regards to this volume. The first volume opened my eyes to just how great his artwork can be and I was afraid that this volume may suffer from its absence. I quickly realized that Chris Marrinan, the run's new penciler was up to the task. He drew all but two issues in this collection, in a style similar enough to Pérez's that the visual continuity of the book is carried throughout, but at the same time doesn't feel like mimicry. From what I have read online, a third artist steps in on pencils for the final chunk of Pérez's run: Jill Thompson. We get a nice little preview of her talents at the end of this volume as she illustrated issue forty five. Her style appears to differ a bit, but is still of high quality and leaves little room for worry about the third act of Pérez's run on the title. So the art lived up to expectations, but what about Pérez's storytelling? Similar to the first volume, he is the primary writer, with scripting assistance on a couple of issues from the likes of Mindy Newell, Keith Giffen, J.M. DeMatteis, Cary Bates, and Lee Marrs. 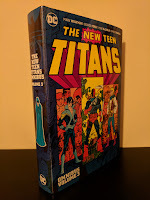 The first two issues in this volume are from DC's Invasion! crossover and make for an odd transition into the rest of the book. Invasion! was a pretty big crossover from what I've seen online - and was also the basis for the recent DC/CW Arrow-verse crossover on tv - so I understand why these were the only issues collected here. Like many events, it hijacks what is an otherwise natural story progression within the title. Aside from that two issue interruption, Pérez continues with many of the themes he explored in volume one, but with less of an emphasis on the Greek mythology. It's still there, it just isn't at the forefront of these chapters. He provides a closer look at the Barbara Ann Minerva incarnation of the Cheetah, Diana's interactions with a mysterious second group of Amazons, and what happens when a diverse group of scholars, students, and religious figures are taken to Themyscira to see how the Amazons live. 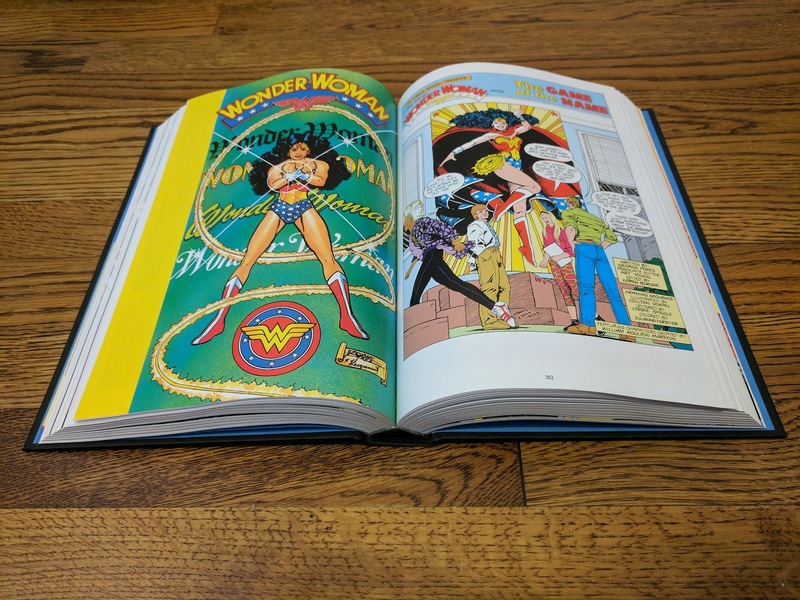 The annual is also a nice touch as it revisits the marketing firm that played such a large role in introducing Wonder Woman to patriarch's world in the first volume. All in all, I really enjoyed this continuation of Pérez's run on Wonder Woman and can't wait to eventually finish the run. 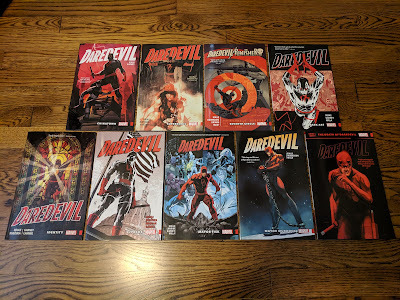 I suppose I could track it down in other formats, but I will likely end up waiting for the eventual third omnibus collection. I do feel that the first omnibus was stronger overall, but that's mostly due to my preference for how deeply interwoven the Greek mythology was. If anything, that's more a nod to just how good the first volume was as opposed to a knock on the quality of this volume. I do have a couple nerdy, collector nitpicks when it comes to the aesthetics of this collection, but I won't waste space here ranting about something so trivial compared to the actual content. 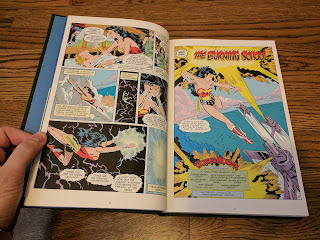 If you have any interest in Wonder Woman's comics adventures, I highly recommend George Pérez's work. It should go without saying, but this is a continuation from volume one, so you should definitely start there. Just know that this second volume is well worth a read once you get to it. - Ok, ok...I know I said I wasn't going to waste time complaining about trivial things, but I have to get this off my chest because I think it boils down to poor planning by DC's collected editions department/team. As you can see in the last picture of the review, volume two has a very clean, plain, black cover with some debossing under the dust jacket. It actually looks pretty good right? 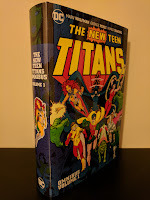 Well, what about after you compare it to the fancy wrap around cover from volume one? It's still a nice, clean cover but it sure is a let down isn't it? Especially after you take into consideration the fact that volume two has a retail price twenty five dollars higher than volume one AND has ninety fewer pages. I can understand a slightly smaller page count due to finding a relatively decent stopping point for this volume but coupling that with the perceived visual quality decrease and increasing the price is a bit overboard. Truthfully, an even smaller detail bothers me more than the change in cover style: knowing full well that Pérez's Wonder Woman run lasted for over sixty issues and that it would take multiple volumes to collect in the omnibus format, DC somehow felt that it wasn't necessary to put the volume number on the spine of the first book. When by itself, it's no big deal, but when placed next to volume two, it looks strange. The change in the DC logo is also a small irritation, however it is expected considering how often they feel the need to change it in recent years. I realize that these are very minor in comparison to the actual content of this volume, which is why I left it for the end much the same way I do the spoiler section on my film reviews. There are in no way reasons to not pick up either of these volumes. Please allow me to reiterate that I highly recommend George Pérez's Wonder Woman run for anyone interested in the character. Phew...at least I got that rant out of my system. This is an excellent, knowledgeably written review! I didn't know that Perez wasn't the penciller for his entire run, much less that Jill Thompson eventually filled that role. 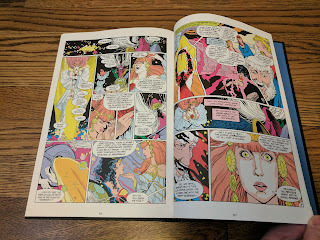 I'm familiar with her from her unique work on Sandman and independent projects like Scary Godmother, both of which are much creepier and more supernaturally oriented than your average superhero comic. 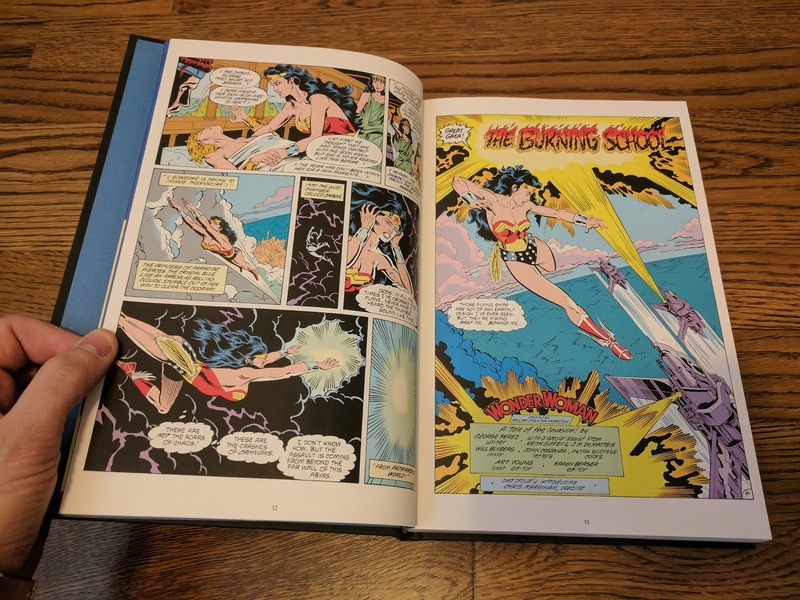 I'll be very interested to hear your thoughts about her Wonder Woman work when Vol. 3 comes out! 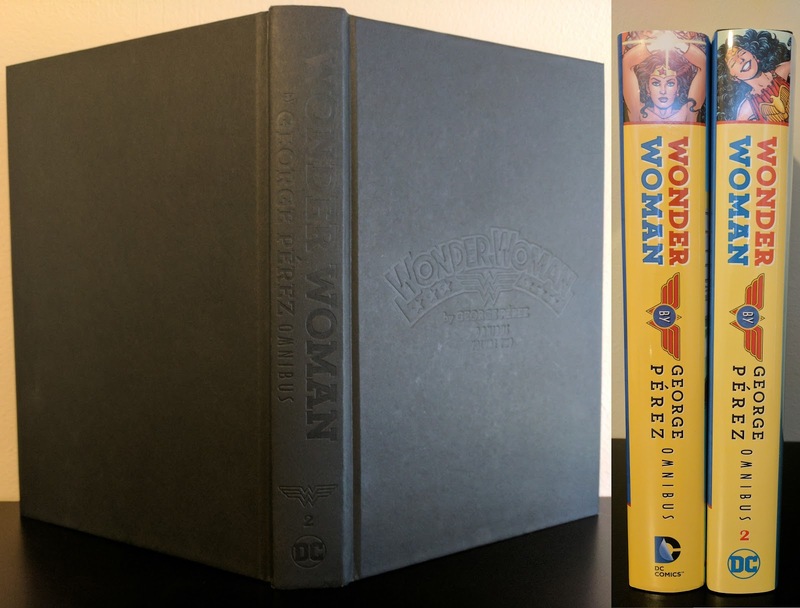 Have you read the current Wonder Woman series by Greg Rucka? You might enjoy Rucka's use of Greek mythology there, which I found more compelling than the sometimes offputting, "God of War"-influenced approach in what I read of Brian Azzarello's New 52 series. Thanks for the kind words! I am very much looking forward to Volume 3 and hope that we see it released sooner rather than later. 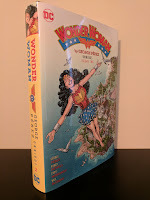 I haven't read it, but I know Jill Thompson also wrote and illustrated the Wonder Woman: The True Amazon OGN from last year. 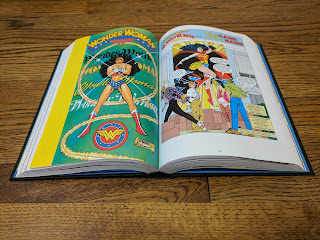 It's on my list of WW stories to eventually work my way through. I'm still getting my feet wet when it comes to Wonder Woman and her history, but with that being said, I have read both Rucka's current Rebirth run and his mid-2000's run (both of which I have enjoyed quite a bit) as well as Azzarello's New 52 run. I think I prefer her more classic interpretation, but that run was really well done. I'll be interested to see where the Rebirth series goes once Rucka finishes his run, which is coming up quick (unfortunately).